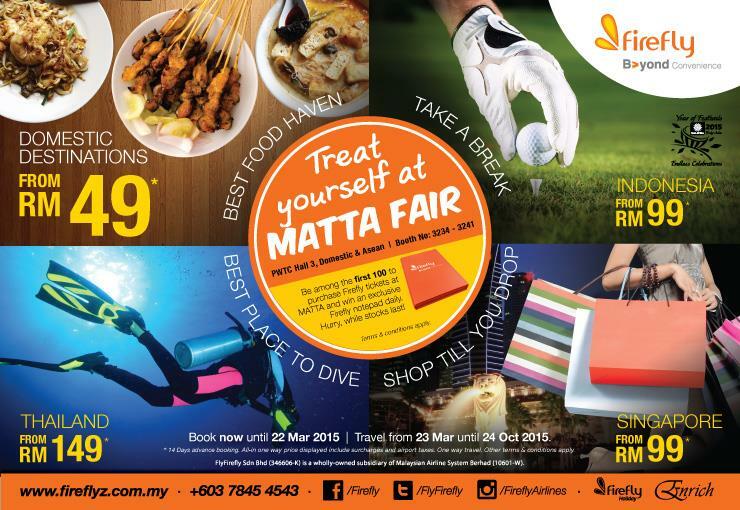 Get down to the MATTA FAIR 2015 at PWTC between 13th and 15th March for some great offers on flight tickets and holiday packages. 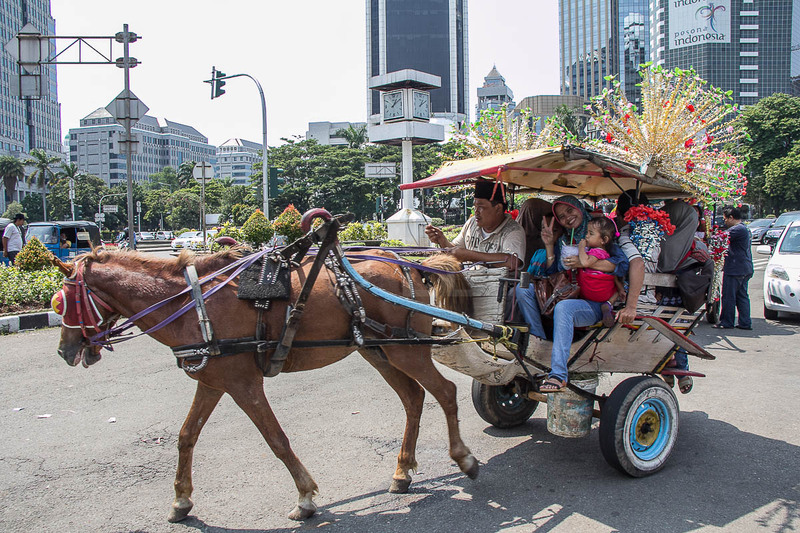 You can find them in Hall 3 – Domestic and ASEAN, booth no: 3234 – 3241. If you’re one of the first hundred visitors of the day to make a booking, you’ll even take home a free notepad. Firefly flight tickets are also up for grabs for those who participate in MATTA’s lucky draw giveaway. With the addition of a fifth ATR 72-600 bringing the total fleet count to seventeen aircraft, Firefly is moving to aggressively promote a range of attractive deals. In conjunction with MATTA, Firefly’s online campaign called “Firefly Getaway Contest” runs between 9th and 15th March. To participate and qualify for the contest, participants are required to purchase a ticket on any Firefly flights during the Contest Period and complete the slogan “I want to get away with Firefly because …” in under 15 words. Two (2) winners will be chosen daily and will be in the running to win Firefly flight ticket vouchers, cash vouchers, tickets to Legoland and The Lost World of Tambun. In an effort to further improve customer convenience and comfort, Firefly is now offering passengers the option to make online payments via an FPX payment method. FPX is a real-time online payment gateway that facilitates interbank transfer of funds whenever customers make payment for their online purchases. In another announcement, Firefly has launched of its latest collaboration with Peugeot Lounge at the Subang Skypark Terminal, offering Firefly passengers the option to experience the Peugeot Lounge service for payment of RM25, 50% off from walk-in customers’ rate of RM50. Their services include, light refreshments, WiFi and internet services, Astro TV entertainment, flight information display, newspapers and magazines, a meeting room and a VIP room. “It took longer than we had anticipated because finding the right partner was critical to a successful product, and as a rule we don’t compromise on quality. We’re sure the Peugeot Lounge service will be embraced by passengers, especially those who need a place to relax before their next flight out”, Ong emphasized. For more information or to make a booking, you may visit the Firefly website or call +603-7845 454.